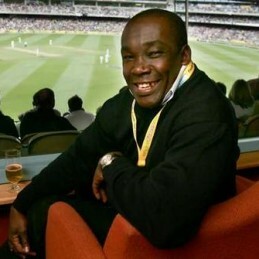 Barbadian born cricket speaker and former England cricketer Gladstone Small is known for his career in both Test cricket and One Day Internationals; a popular right handed bowler Small retired from cricket in the early 1990’s and has since worked as a dedicated sports speaker. Despite spending less than ten years as a cricket speaker and player for the national English team Gladstone Small made a significant impression thanks both to his talent and the sheer number of on pitch appearances he made. Racking up a total of seventeen Test matches played and over fifty ODI’s Small was a capable player favoured by both his team mates and fans and was known particularly as a strong team player. As well as his appearances in both Test and ODI cricket Gladstone Small also appeared as part of the English national team in both the 1987 and 1992 Cricket World Cups. Alongside his place on the England squad Gladstone Small was also a reputable domestic player and contributed to the strong Warwickshire side of the early 1990’s. After retiring from professional cricket Small began working as a cricket speaker for the Professional Cricketer’s Association and later became a director of the organization. As well as working as a sports speaker for corporate and cricket club events Gladstone Small has also become involved in the informal game of beach cricket and was a member of the national England squad in both 2006 and 2007.